In the fall of 2017, David Huckfelt left behind the familiar—the comfort of his home in Minneapolis; the camaraderie of his critically acclaimed band, The Pines; the luxuries of heat, hot water, and electricity—and relocated to Isle Royale, America’s most remote national park. Six hours off the Superior coast of Michigan, Isle Royale is the largest island in the world’s largest freshwater lake, an isolated stretch of wilderness seemingly forgotten by the 20th century (to say nothing of the 21st). There, as an Artist In Residence selected by the National Park Service, Huckfelt spent ten hours a day for two straight weeks writing in solitude, channeling the mysterious and lonesome island’s spirits into his stunning debut solo album, Stranger Angels. Recorded primarily in just three days, the album captures the magic and spontaneity of a gifted band discovering the beauty and brilliance of the songs and each other all at once. 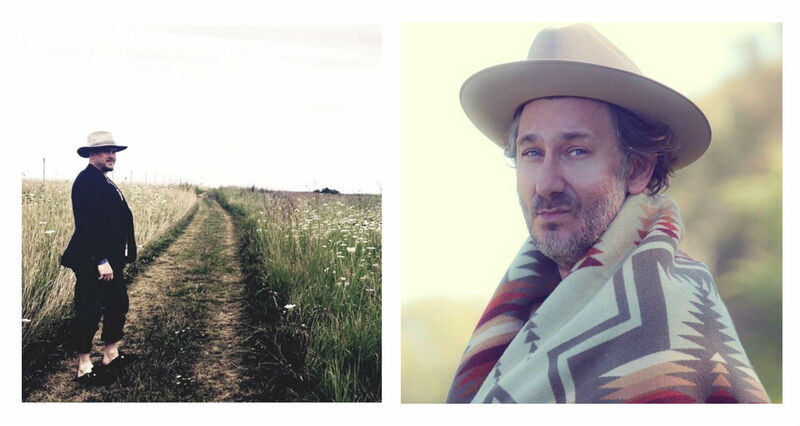 Stranger Angels follows Huckfelt’s latest album with The Pines, 2016’s Above The Prairie. Adam Levy is regarded by many to be one of the great American songwriters of his era. His newest solo endeavor might be his best and most original work to date. Levy is probably best known for his nearly 20 years of work as lead singer-songwriter for The Honeydogs. Levy's songwriting has always been musically expansive, exploring styles as diverse as American roots music, psychedelia, soul, world, jazz, and classical music. His lyrics have always been thoughtful, literary and provocative, and have garnered him international critical accolades and fans. Adam's wry wit and incisive lyrics are wrapped inside layers of deceptively beautiful melodies and hooks that come to life with his signature great guitar work. Paste Magazine once said Levy's songwriting captured "the zeitgeist of our time." His lyrics reflect his years in social work, commitment to social justice issues and lifelong interest in history, culture and political matters. This has distinguished Adam among his peers as a singer-songwriter, blending the great traditions of pop and American folk music into something unique and timeless. Levy has also embarked on a slew of side-projects in the last 5 years: electronic experimental music with Liminal Phase, orchestral chamber pop with And The Professors, children's music with Bunny Clogs, '60s and '70s soul and funk with Hookers $ Blow, and early-mid 20th century jazz with Rose Room. Adam is currently working on his first truly solo project expected out in 2015, as well as a new Honeydogs record. He likes to think his best song is yet to come.